And just to make things abundantly clear, the statement about the new entries notes that these three letter terms “are quicker to type than the full forms” and are useful in the digital arena when there’s a character limit. Our vocabulary is quickly evolving along with the saturation of mobile Web and ever-present social applications. Communication has changed and so has our word choice, an easy enough concept to grab ahold of. But crazier still is the fact the “♥ to heart” is also being introduced into the OED. Yes – the graphic. 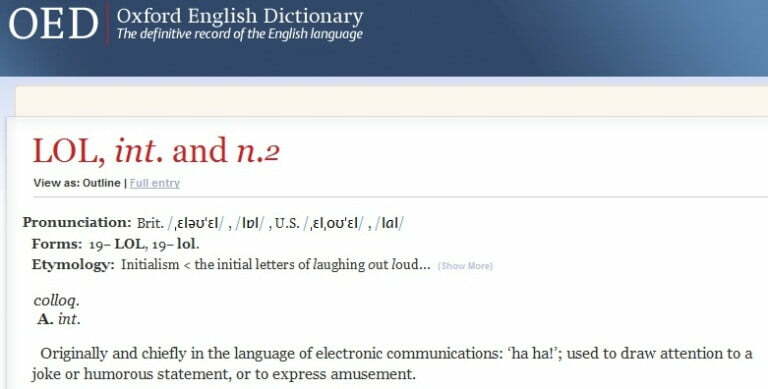 Check out OED’s list of new additions for a full look at just how much the digital world is affecting vocabulary.